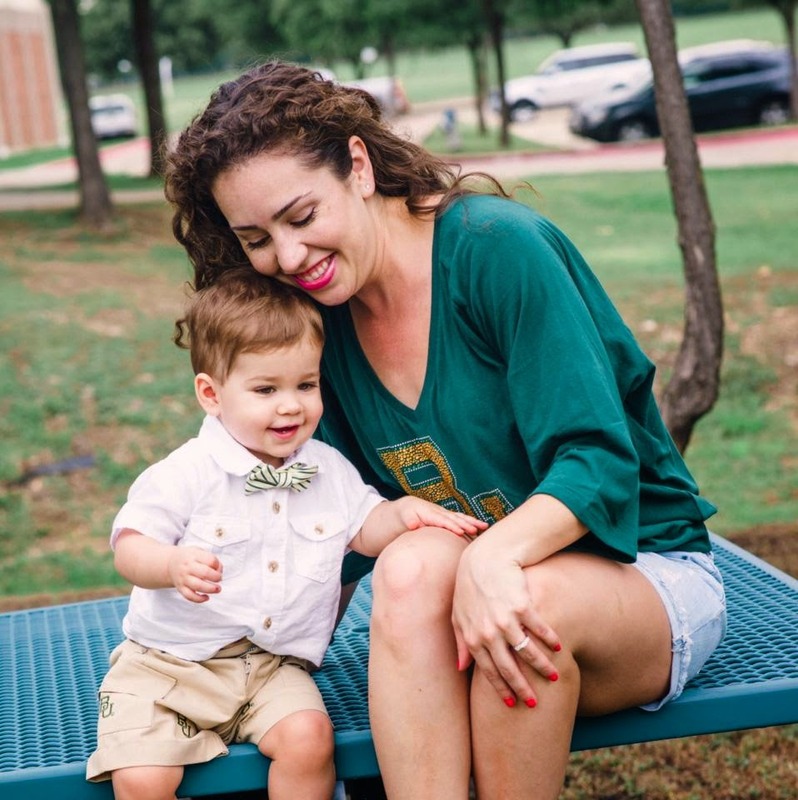 Kat is the fabulous mompreneur behind Baby Bow Tie, the fashionable bow ties for little gentleman. She recently invited me and my son to participate in a fun photo shoot to kick off their new gameday collection. 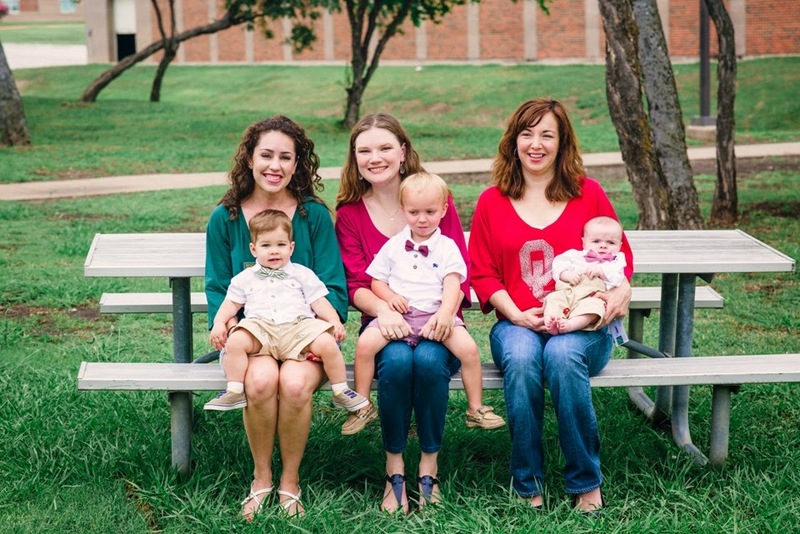 I was thrilled we could join in and meet other moms who are passionate about style and game days. As a new mom, I really appreciate the idea behind BBT. The bow ties are such a fun way to accessorize your little guy. I've realized recently it's way more fun to dress him than it is myself these days. Each bow tie is magnetized, which makes it really easy to put on him. If anyone has ever had to dress a baby, you know how nice this is! 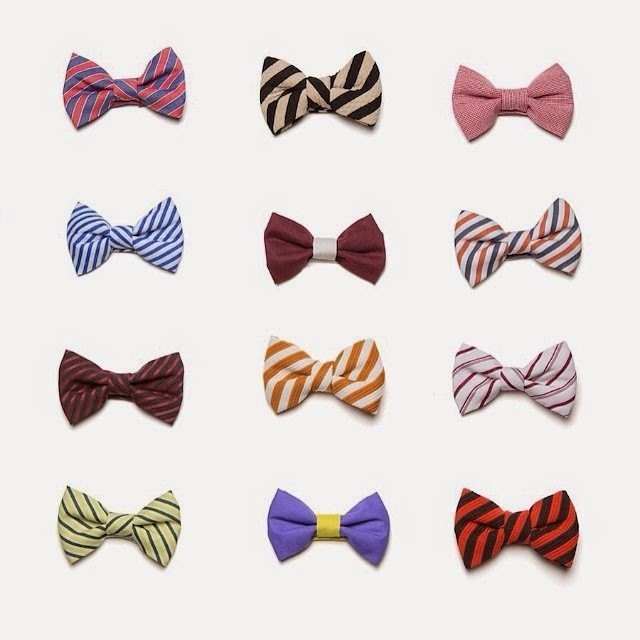 Baby Bow Tie and Passionately Rivalicious have teamed up for an awesome giveaway this week. Comment and share on their Facebook pages for a chance to win a $25 gift certificate. Special thanks to Passionately Rivalicious for the gameday clothing (how cute are those OU shorts?!) and Dyan Kethley for the photography. 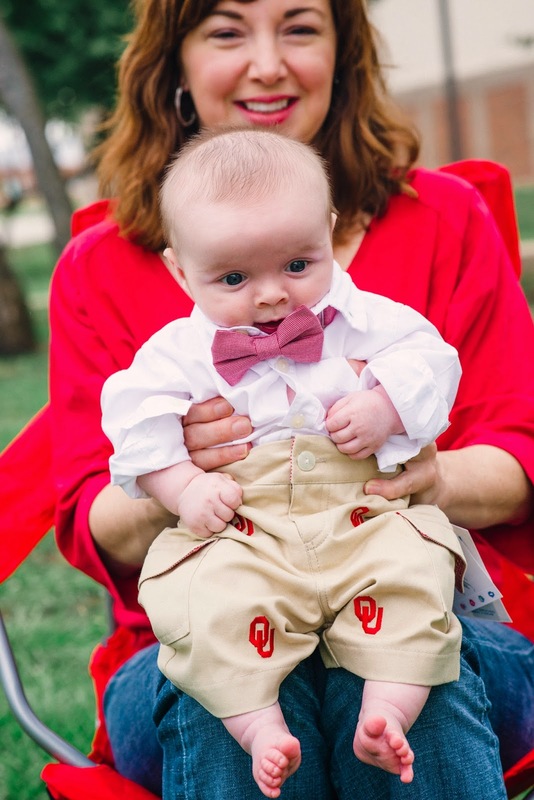 OMG those OU pants are precious! !